While denying that Skolasajf this year had been hit by staff shortages, the Education Ministry would not comment on complaints about the educators’ working conditions and overcrowding in classes. These issues were raised on Tuesday in a statement by the Union of Professional Educators, which called on the government to address the situation with urgency. 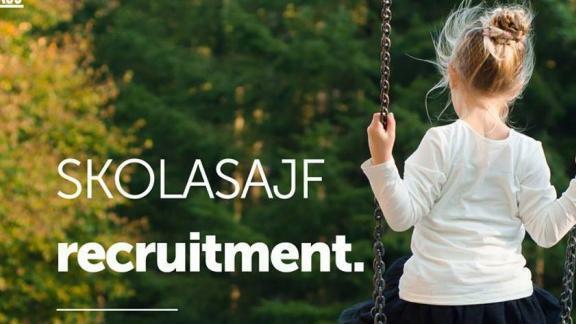 This year over 12,000 children have applied to participate in Skolasajf, which is being offered in 59 centres by the Foundation for Educational Services. About 800 child support workers and 800 play workers have been engaged. In a statement, the UPE said turnout from educators wanting to take part in the voluntary scheme was low due to the unattractive working conditions and a “meagre” rate of €5.91 per hour. Moreover, it expressed concern that the situation had been made even worse by the large intake of children, which resulted in overcrowded classes. In view of this, the union called on the Education Ministry and the FES to ensure that adequate facilities would be in place, and that class sizes would not exceed the limit set by law. The UPE, which was only set up a few months ago, also took a dig at the Malta Union of Teachers, accusing it of not taking action in the past over this issue. Contacted by Times of Malta, an MUT spokesman clarified it had raised the issue in a meeting with the FES in an attempt to find a solution. While confirming that it too had received complaints of overcrowding and understaffing, he said its objective was to be in a position to negotiate a collective agreement for FES employees in order to improve working conditions. However, it expressed its disappointment that it had asked for official recognition months ago but received no feedback. “It is evident that the Ministry for Education is not interested in improving the conditions, as the recognition process is the first step towards an agreement on improved conditions,” the MUT spokesman told this newspaper. Times of Malta sought the reaction of the Education Ministry on the issues of overcrowding, working conditions and staff shortages. In a terse reply a spokeswoman said that according to the FES there were no staff shortages at all. FES confirmed this in a statement issued on Wednesday afternoon. The ministry made no reference whatsoever to the other issues raised by this newspaper.